A cooker control unit is an assembly primarily intended for controlling the supply of electricity to a cooker. It also incorporates a switched socket-outlet for the electrical supply to other electrical appliances. The product standard for cooker control units is BS 4177:1992 – Specification for cooker control units. Cooker control units designed to BS 4177 have a rated voltage not exceeding 250 V a.c. The switch controlling the supply to the cooker has a rated current of either 32 A or 45 A, and the switched socket-outlet has a rated current of either 13 A (BS 1363 type) or 15 A (BS 546 type). Cooker control units are available for surface mounting, flush mounting or panel mounting, and may or may not be fitted with a luminous indicator, such as a neon lamp, to indicate that the circuit is energised as shown Fig 1. 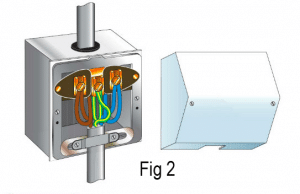 Where the mounting box is not part of the accessory, such as may be the case with a flush wall-mounted cooker control unit, the mounting box will need to be chosen so that it affords ample space for the connections and the conductors, bearing in mind the size of the cable to be used. Guidance on the required depth of accessory box is generally provided by the manufacturer of the cooker control unit. A cooker control unit needs to be accessible to the user, but should not be positioned such that the user has to reach across the cooker hob to gain access to the unit. Similarly, it should not be positioned where the flexible cable from the socket-outlet may come into contact with hot surfaces or dislodge items cooking on the hob. 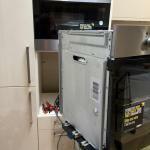 Furthermore, the unit should be accessible if there was a cooker fire. As for all final connections to items of current-using equipment; the final connection to a cooker should be made in such a way that stress and strain on connections is avoided, as required by Regulation 522.8.5. 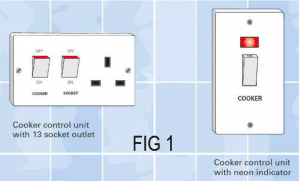 One method of complying with the requirements of Regulation 522.8.5 is to make the final connection to the cooker via a cooker connection unit to BS 5733 as shown in Fig 2. Each cooker should be supplied by a radial final circuit dedicated for the purpose, and should be connected to the final circuit by a readily accessible means of interrupting the supply on-load (see Fig 1). For the purposes of this topic a cooker is a hob unit, an oven/grill or a combination of both. 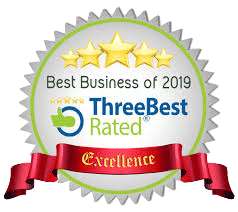 One dedicated circuit of suitable rating may be used to supply two or more cookers, an oven/grill and a separate hob unit for example, where they are installed in the same room. In such cases, the cookers may be connected to the final circuit either individually by means of a cooker control switch or cooker control unit, or collectively by means of one such unit common to all the cookers (see Fig 3). The means of interrupting the supply on load should be readily accessible but the device should not be positioned where, in order to access it, a person would have to reach over the cooking appliances. Consideration should also be given as to whether the position of the device enables it to remain readily accessible in the event of a cooking fire. The current rating of a cooker final circuit is determined by an assessment of the current demand of the cooking appliances and, if a cooker control unit is provided, the current demand of the socket-outlet. A 30/32 ampere circuit is generally suitable for most household cookers (4 heating rings, a grill and an oven) but a circuit of higher current rating may be necessary for cookers having additional cooking facilities and/or larger capacity ovens. When determining the current rating required for a final circuit supplying one or more cookers, consideration should be given to the discrimination requirements of Regulation 536.1. The Regulation requires the characteristics and setting of an overcurrent protective device to be such that any intended discrimination is achieved where necessary to prevent danger. If the rated current (In) of the overcurrent protective device for the circuit supplying a cooker is too high, discrimination with the overcurrent protective device upstream (such as the electricity distributor’s fuse) may not be achieved. As for any other circuit, the voltage drop between the origin of the installation and the terminals of the cooker needs to be checked in order to verify compliance with Section 525 of BS 7671. The diversity applicable to the current demand for a cooker is shown in above is 10 A plus 30% of the remainder of the total connected load, plus 5 A if the control unit includes a socket outlet. A little thought will show that whilst this calculation will give satisfactory results under most circumstances, there is a danger of triggering the protective device under some circumstances. For example, at Christmas it is quite likely that both ovens, all four hotplates and a 3 kW kettle could he simultaneously connected. Just imagine the chaos which a blown fuse would cause! This alone is a very good reason for being generous with cable and protective ratings. The cooker control unit includes a 13 A socket outlet. Calculate a suitable rating for the protective device. This factor is found by reference to Table 4B1 in Appendix 4. Table 4B2 is used where mineral insulated cables are installed on perforated cable tray. Where a cable is in contact with thermal insulation on one side only, the current-carrying capacity of the cable should be calculated using Reference Method 4, which is described in Appendix 4 (Table 4A) of BS 7671. Where a cable is totally surrounded by thermal insulation for a distance greater than 0.5 metres, the current-carrying capacity should be taken, in the absence of further information, as 0.5 times the current-carrying capacity for that cable when using Installation Method 1 (open and clipped direct). Where a cable is totally surrounded by thermal insulation for a distance of 0.5 metres or less, Table 52A in BS 7671 gives derating factors which must be applied. Where a rewireable fuse to BS 3036 is used, a further correction factor of 0.725 is applied, due to the poor fusing factor of rewireable fuses. For example, in Fig 1, a cable which is protected by a BS 3036 rewireable fuse is first grouped together with other cables, then it is totally surrounded by thermal insulation for a distance of more than 0.5 metres. Then finally it is run through an area with a high ambient temperature. As the BS 3036 fuse affects the whole cable run, Ct must be applied. 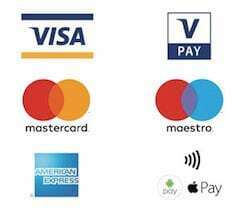 However, there is no need to apply the other three factors as the worst factor alone will be sufficient. Let’s take the grouping factor to be 0.65, the thermal insulation factor to be 0.5 and the ambient temperature factor as 0.94, as indicated in Fig 1. In this case, only Cr = 0.725 and Ci = 0.5 need to be applied. The factors for grouping and ambient temperature are 0.65 x 0.94 = 0.61. As the factor for thermal insulation is lower (0.5), this is the only factor used for the conditions along the cable run. 4 The current-carrying capacity of the cable (which is termed Iz) is then selected from the appropriate table in Appendix 4 of BS 7671. Iz should be at least equal to or slightly greater than the tabulated current, It. As four per cent of the nominal 230 volts single-phase supply voltage is 9.2 volts, this figure must not be exceeded for single-phase supplies. Electricity is a dangerous thing, and and things like cookers should be installed by a qualified electrician whom can test and certify your install. Plymouth Sparky.